Who did their shopping today? | Crowlas & Ludgvan W.I. ← New Wave vs Old Wave? Who did their shopping today? with the CFWI table at Sainsbury’s. If you paid a visit to Sainsbury’s today, you might have seen some familiar faces! 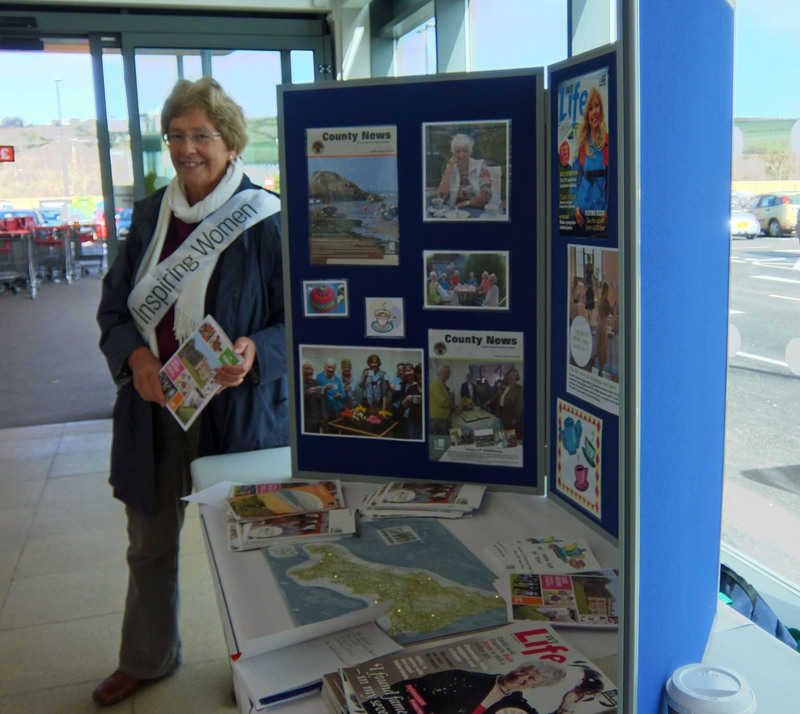 Our County Federation set up a table at the entrance to Sainsbury’s, and some of us spent the day distributing information about the W.I. and answering questions to women who might be interested in joining. Braving the cold, we shared our enthusiasm and hopefully recruited a few new members for various Institutes throughout the county. Diana and Jane were spotted this morning – did anyone else stop by later in the day? This entry was posted in Uncategorized and tagged CFWI, publicity. Bookmark the permalink.